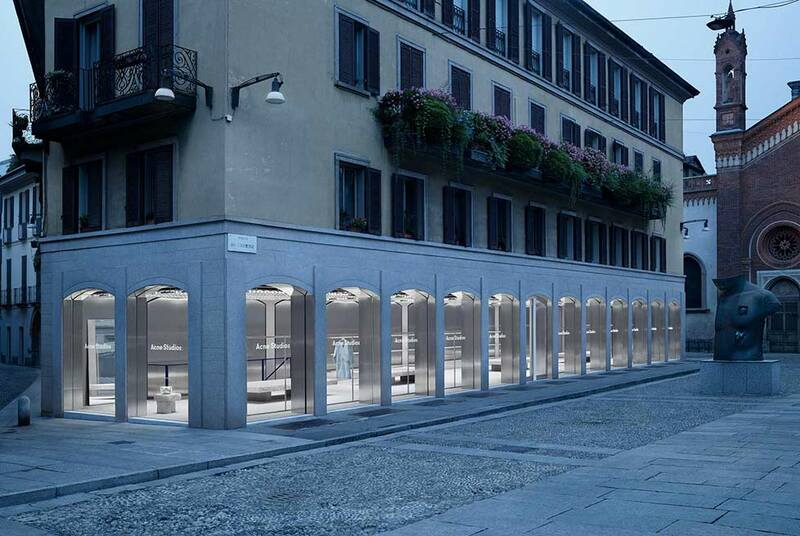 Acne Studios located in Piazza del Carmine 6 in Milan, it is the first flagship store in Italy of the swedish brand. 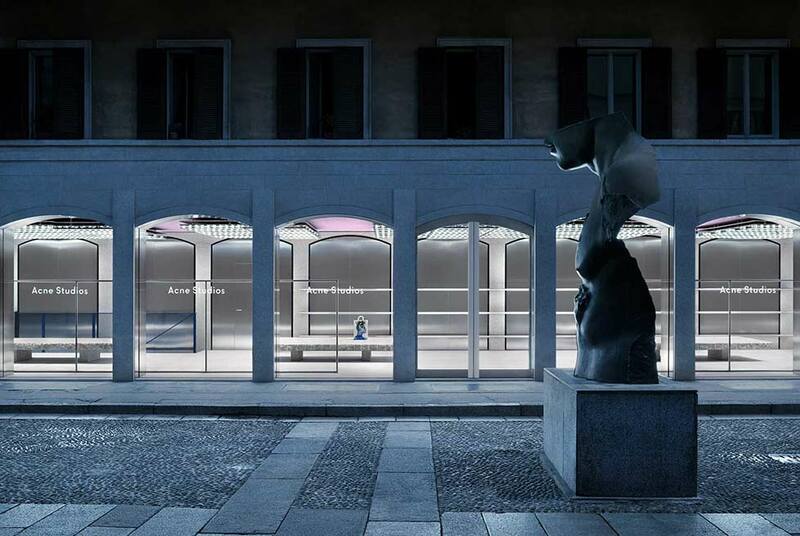 The location is highly suggestive and thanks to a large glazed surface it creates an integration and exchange with the wonderful square, located in the Brera district. 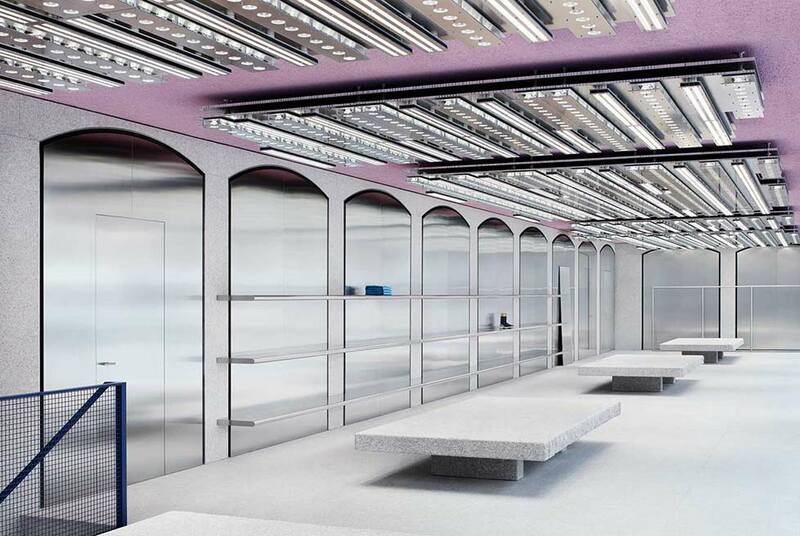 The store, where, until the previous year, there was Marc by Marc Jacobs shop, is the result of a research of more than five years it is part of a retail openings project of the brand that will bring to 4 new openings in 2017. Acne Studios is a Swedish brand founded in 1996 by Jonny Johansson whowho, in a few years, has been able with his nonconformist style to transform the brand into a luxury icon loved and respected all over the world thanks to its quality and style and, at the same time, avant-garde and clean, typical of Nordic design. 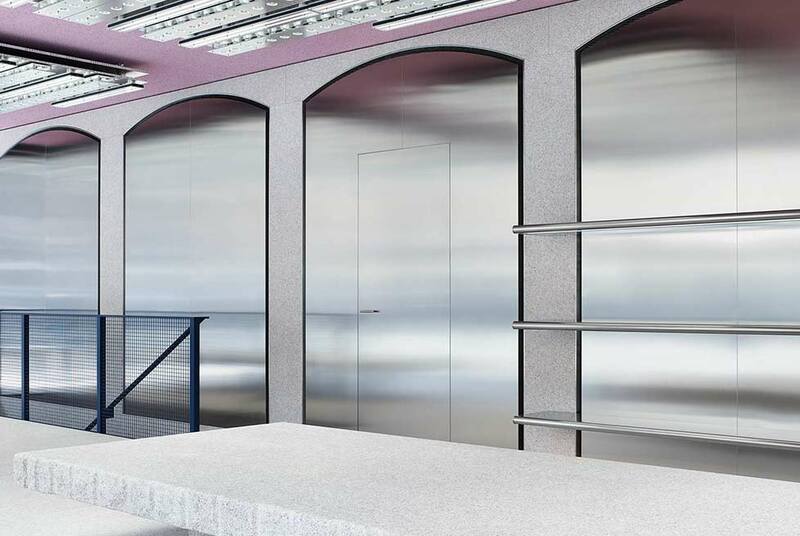 The basic element of Acne is the color, which is capable to illuminate the almost architectural construction of the garments.